I am really excited about this meeting plan; I think the girls are going to have a blast! The big feature of the meeting is that I have a friend who is a yoga instructor who is going to come lead the girls on an hour long yoga-for-kids class! So I’m building the meeting around that. I should also tell you that I have a multi-level troop; we have two Brownies, 6 Juniors, and 2 Cadettes. So I’m trying to plan badges that all three levels have fun with and earn their level badges with. Rocking their multilevel troop! Two Brownies and two Juniors shown! First, let’s take a look at the basic badge requirements for each level that will be attending. What do they have in common? They each have a component to move your body. They each at least allude to stress (for Brownies, they talk about what to do if someone is bugging you). There is a healthy eating component in each of them. “Get the truth about health” will go along with “meet a health helper” (for information about staying healthy), and “Find out how what you eat affects your skin.” Well, we’ll talk about how what you eat affects everything. I confess I’m not a big fan of the “Eating for You” badge. That’s a lot of investigating what diet effects and seems a bit repetitive to me. So we’ll weave in the “diet effects all the things” throughout everything. 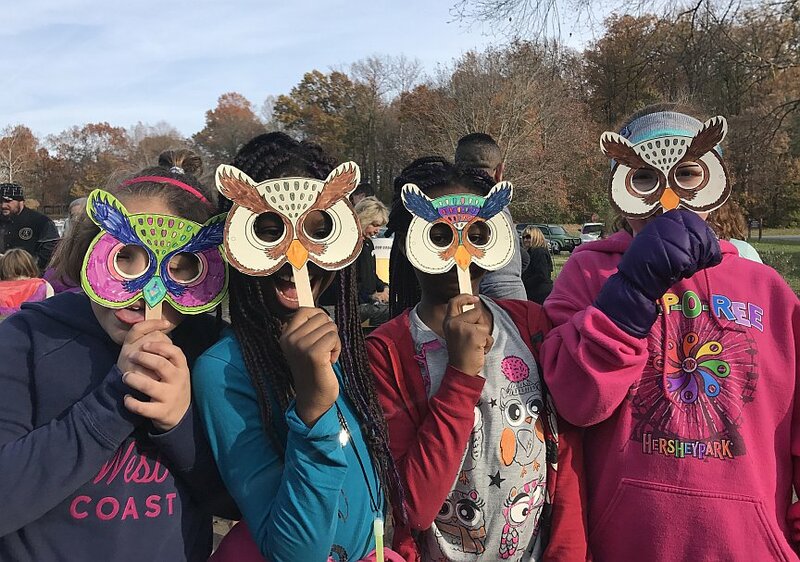 My troop likes to keep things moving! This isn’t school! Eating for you is also the only one that doesn’t have an exercise component. Which seems a bit odd to me; we will definitely add that in for them and talk about how food is fuel. I want my girls to understand food as fuel and what things they love doing that need fuel! So I’ll talk about that a little bit, but I confess I am changing the badge a bit. 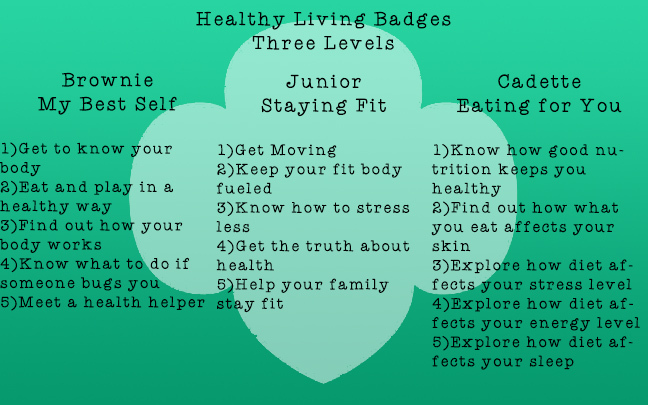 On the bright side my two Cadettes didn’t do the Staying Fit badge so there won’t be overlap for them. Learn how to de-stress. For this we will do a silly scrunch and relax progression I found here. This will probably only take a few minutes. The sillier the better; my girls LOVE silly. Yoga class! I have an instructor coming to lead the girls through a fun kid focused yoga session. We’ll have snack after yoga, so we can talk about the other things. We’ll also talk about how they feel afterward, how they felt before the exercise and how they felt after. We’ll talk about how they feel when they run very fast or do some other activity they love to do, and why they feel so good when they do it. Hopefully they will learn a bit about how exercise and healthy foods contribute to overall health. I’d also REALLY like to add in a bit about flu season and washing hands, but we will see if I can squeeze it in there. Meetings are only 2 hours long. Another idea I don’t think I have time to work in is a Healthy Bodies Jeapardy. Maybe we will do that at our next meeting (after this one) as a follow up/review. Well, that’s it; I’ll report back and let you know how it went!